OP, Blues, EDMa��the genres we name while talking about music could be the distinctions that are getting in the way of creativity. And on World Music Day, the Swarnabhoomi Academy of Music (SAM) wants to turn the spotlight back on music. a�?Genres were created by record companies so you can stand out in a crowd, but ultimately I believe that good music appeals to everybody and you need to constantly challenge yourself and expand boundaries,a�? says Prakash Sontakke, the slide guitarist from Bengaluru. 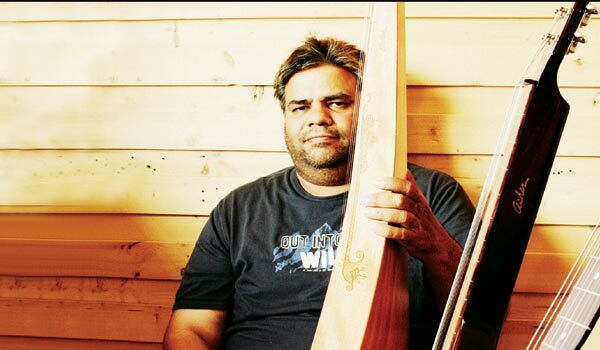 He is one among three acclaimed artistesa��along with guitarist-composer Ehsaan Noorani and US-based drummer Bob Jordona��who will be leading a five-day music camp at SAM. Participants will learn simple scales to modern improvisations, besides attending lectures on ear training, music notation and getting a chance to test their talents in ensemble performances. a�?My masterclass will look at the slide guitar and how it can be used not just for Hindustani music, but as part of any form of music,a�? says Sontakke, who admits his epiphany came when he saw the instrument in the hands of Pink Floyd. a�?The sound was so different and I realised that one instrument can take shape in so many different ways. As musicians, I believe we need to broaden the horizon of the listeners,a�? adds the co-composer of this yeara��s Grammy-winning album, Winds of Samsaara. Walking the talk in his under-production album, Perception, Sontakke says he will be collaborating with over 30 musicians from around the world to create a unique sound. a�?Experimental music has always been the tool to broaden music and keep it alivea��since ita��s not something youa��ve heard before, you will go looking for it,a�? he concludes. One part of the Shankar-Ehsaan-Loy trio, Noorani believes there are no real trends in music now. a�?EDM and the like are all short-term. Everything is genre specific and that is unhealthy,a�? says the guitarist, lamenting the days when people created music for the sake of creating good music. Stressing that a�?you need to buck the trenda�?, he plans to focus his masterclass on the business of music. a�?Musicians make the worst businessmen. And though the industry is booming onlinea��with the internet giving you a great platforma��it is not being monetised. If you release a video, you wona��t see any money until youa��ve hit at least 3,00,000 views,a�? says Noorani, adding that he will be touching upon experimenting with sound and what else a musician can do to make it in the indie space.